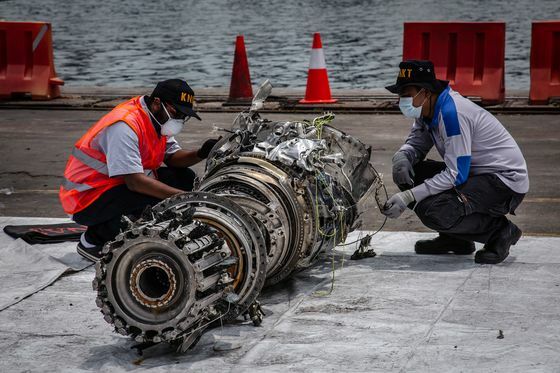 (Bloomberg) -- U.S. investigators began an inquiry into a stall-prevention feature in Boeing Co.’s 737 Max jets just weeks after a Lion Air jet plunged into the Java Sea off the coast of Indonesia, people familiar with the matter said. “It could be a treasure trove -- if it’s there -- but if I were a prosecutor I would definitely look at it,” said Rossi, who now is with Carlton Fields PA in Washington and is not involved in the Boeing investigation. Representatives of Boeing, the Transportation Department, the Justice Department and the FBI declined to comment. In the aftermath of the two accidents -- which killed a combined 346 people -- regulators around the world grounded Boeing’s best-selling jetliner. The Transportation Department ordered a full audit of the Max’s 2017 certification. The MCAS does make an appearance in American Airlines Group Inc.’s flight crew operations manual -- in a section that lists acronyms.